Shyanne Belzer/MDN Rinat Mouzafarov’s “Holly Jolly Christmas” will feature not only brand new choreography but also many new costumes. Full of holiday cheer and holiday colors, the many dancers taught by Mouzafarov are expected to bring a unique new show to the stage. 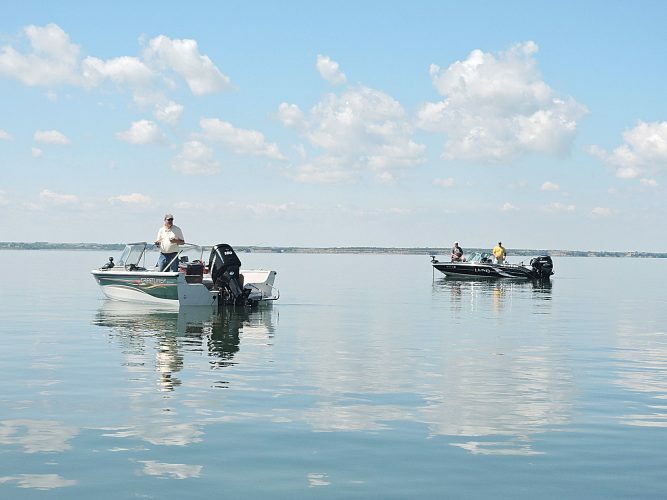 Rinat Mouzafarov has been a part of the Minot community for 26 years. Throughout his time he has worked to bring beautiful performances of ballet and dance for the community’s enjoyment through annual performances. One such annual performance is getting a make over. Rinat Mouzafarov’s Institute of Dance and Ballet Theater will present “Holy Jolly Christmas” on Saturday and Sunday at Central Campus Auditorium. The Christmas show will bring out a brand new set of music, new costumes, and an all new, never before seen choreography. 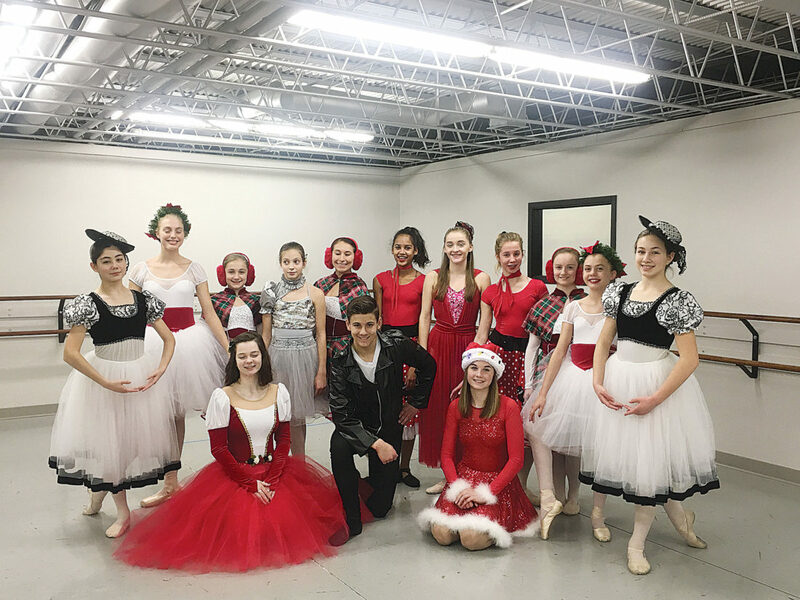 Students of the studio performed at the Norsk Hostfest before jumping straight in to practice for “Holly Jolly Christmas.” Mouzafarov says there are many new students and all of them have been working extremely hard to bring the upcoming show to the community. “The studio is growing and they are all very talented kids,” he said. The piece will involve a variety of props alongside the students to showcase all 12 days of Christmas. Other pieces to be performed include the namesake of the show, “Holly Jolly Christmas,” “Pretty Snowflakes,” “The Christmas Tree,” “French Trio” from “The Nutcracker,” “The Lords Prayer,” “Christmas Waltz,” and many more. One piece, “Xtina’s Xmas,” marks a first for the studio. “This will be my first time ever doing a pop song,” Mouzafarov explained. In total, “Holly Jolly Christmas” will showcase 23 performances throughout the two acts. Of those pieces, 22 will feature brand new choreography. Ski Fantasy, a popular dance for Hostfest, will be performed. While the act will be the same, the dancers will be wearing brand new costumes. This show will also be a very special one for Mouzafarov, who has lost two dear friends in 2018, one recently. The performance of “The Lords Prayer” will be dedicated to Debra Jenkins and “The Christmas Waltz” will be dedicated to Shirley Archuleta. Jenkins was a good friend and a big supporter of Mouzafarov for 26 years. Acrhuleta was a close friend and supporter for 20 years. She had asked him to choreograph the “The Christmas Waltz” in the past since it was a favorite of hers. Alongside all the dancers who work hard for every performance, many people volunteer their time and energy to help create the quality shows that Mouzafarov has been putting on for all his years in Minot. One of the main reasons Mouzafarov puts on his Christmas show is as a thank you to the community that helps support him. He works to keep prices of tickets low so that families can all attend and enjoy the holiday spirit and hardwork the dancers put in. He is thankful to everyone involved in his productions from the dancers to the parents to volunteers and beyond. “Holly Jolly Christmas” will take place at 7 p.m. on Saturday and 2 p.m. on Sunday. Tickets for the show cost $10 for adults and $5 for kids. They are available at Jacobsen Music, Northwest Music, Esoterica, and Video Magic. Along with the upcoming performance, Mouzafarov’s dancers will be performing in different nursing homes in the area and will do a small mall show in the coming weeks.